The Country Manor of Glenn is perfectly situated in Glenn, Michigan, between South Haven (10 miles south) and Saugatuck (6 miles north). It is a historic home, newly remodeled and updated for a very comfortable and enjoyable stay. 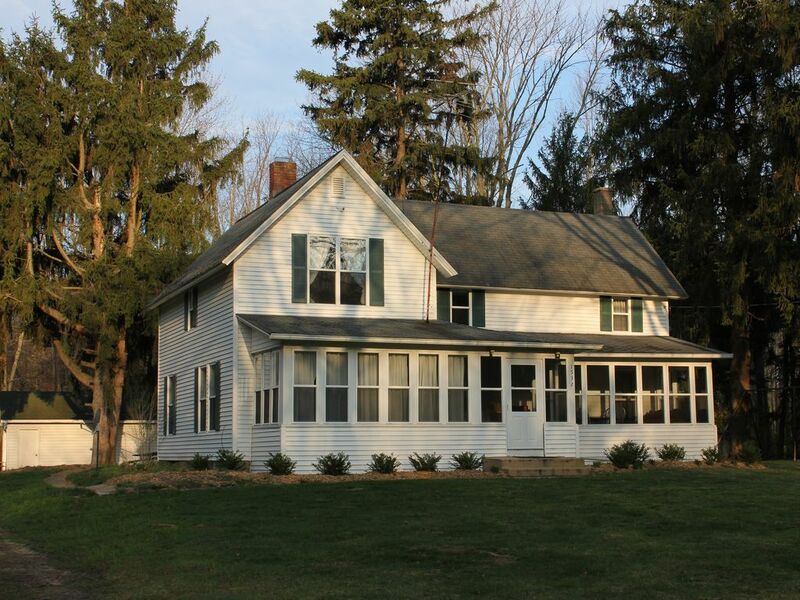 In addition, Country Manor is nestled among acres of private woods, pines and paths. The house is 750 ft from Lake Michigan and has approx. 90 steps to the beach. It is a sandy swimming beach with ever-changing sandbars. BR B Amenities: /B BR 365 feet of beautiful sandy, private beach on Lake Michigan,(house does not overlook the sits back 750 feet from the top of the bluff) 5 BR, 2 BA, Central Air conditioning, Large eat-in country kitchen, Living room, Screened in front porch, Gas Barbeque Grill, Flat Screen TV with DVD player. Bed Linens are provided. You will need to bring your own bath and beach towels, beach chairs and umbrellas. Activities: Fishing Charters available in Saugatuck and South Haven for Perch, Trout & Salmon. Saugatuck and South Haven are both harbor towns with many beautiful sailboats and powerboats anchored. Saugatuck is an artist town with many specialty shops. Fresh Fruits can be purchased directly from nearby available for picking. Area: Glenn is about 150 miles from 30 miles north on Interstate 196.. (Exit 30) House Address is 1532 71st Street, Glenn. Although we do love pets we do not allow pets of any kind in our home. We have renters who are allergic to animal dander including the owners. It will be your responsibility to inform your guests that they are not allowed. Enjoy our outdoor wood fire pit. Bring your own wood or search for wood in our woods! We do not provide bath and beach towels, beach chairs or umbrellas. Glenn is a quaint 4 corner town called 'The Pancake Town'. On Dec 7 1937 a heavy snowstorm hit Glenn with snow measuring 14 -30 inches deep in many places After 48 hours when the wind finally subsided the local people opened their doors and ventured out into a winter wonderland with drifts as high as ten feet in many places. This was many years before the interstate highway was constructed. U.S. 31 (Blue Star Highway) was, at that time, the only main highway on this side of the state and it passed right through Glenn. In the wake of the storm 100 cars and 60 trucks were stalled in the snow. Over 200 motorist found themselves marooned in Glenn. Glenn, always known for its hospitable nature and community spirit did not hesitate in opening up homes and businesses to accomodate the stranded motorists. 'Pancakes, without sausage' became the daily special for breakfast, lunch and dinner. We still have the 'Pancake Breakfast' in Glenn to this day on special dates.